I needed a rack quick if I was to get my breeding project up and running. Plus, the tanks I have now is pretty messy; its all over the place. My first thought was to get my principal company to fabricate the rack I envision from scratch. But due to projects that the technical department was already swamped with, I dropped the idea. I finally decided on light duty boltless shelving; the IND Series. Its supposed to be able to take a weight of 400kg per level. Whether that is true, I'm not sure. But it was my best option so far. I brought it home and had mom to help me to hold them up as I knock them into place. It's pretty easy to set up. No manual; just common sense. After setting it up. Looking fab! Well, this is not complete yet but you get the idea. The decking board is wood. Temporarily I painted them with this. 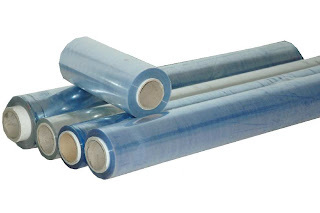 But later on, I would be putting this clear plastic sheet. Otherwise the wood will not last. Anyway, future projects (addons) to the rack includes the following.